Because so many folks have questions about back pain disability cases, I thought it would be helpful to describe the types of musculoskeletal pain cases that are getting approved at the end of 2017 and into 2018, and which types of cases are not being approved. Never forget the underlying issue in your back pain disability case – do your medical problems leave you without the capacity to perform any simple, entry-level job. 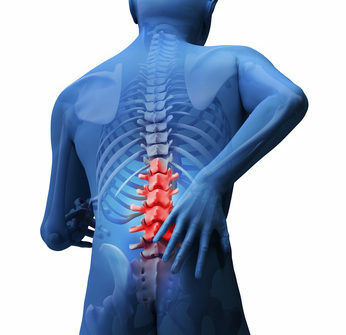 You will not win disability based on a diagnosis of a herniated disc or spinal stenosis. Instead, your judge wants to know about the day to day impact of your symptoms and how these symptoms affect your capacity for full time work. My colleague, attorney Erin Schmidt, a disability attorney in Ohio, western Pennsylvania and northern West Virginia writes extensively about Social Security disability issues and regularly shares her knowledge on several attorney list servs that I follow. I asked Erin about her approach to back pain cases and she was kind enough to agree to co-author this article. –how old are you? If you are under the age of 50 you will have a much more difficult time winning a back pain case because Social Security judges are generally reluctant to approve claims by anyone under 50. If you are under age 50, your medical record must describe a very, very serious orthopedic or neurological issues. If you are age 50 or older, we may be able to argue for disability under the “grid rules” which allow for a finding of “disabled” even if you retain some capacity for work. Click here to learn more about how the grid rules work. –does your medical record contain one or more MRI or CT scan reports showing a significant orthopedic or neurological issue? Disability judges prefer objective evidence of a back problem – issues such as a disc herniation, spinal nerve root impingement, spinal stenosis (narrowing of the canal housing the spinal cord), or other abnormalities that can be imaged. Without diagnostic imaging, you will be asking your judge to assume that you have a serious medical issue and in 2018 and beyond, judges will not make this assumption. –have one or more of your doctors recommended surgery, and if so, is the recommended surgery extensive and invasive? Social Security will not “punish” you for choosing not to undergo surgery, but statements from your treating specialists like orthopedists or neurosurgeons that surgery is recommended can demonstrate to the judge that your problem is serious enough to impact your work capacity. –have you undergone surgery that was not successful in restoring function? Sometimes we will see the term “failed back” or “failed back syndrome.” If these terms are in your record the judge will expect to see that you have been referred to long term pain management. This type of medical record signals to the judge that you have a medical problem that would likely prevent all competitive work and thus qualify you under SSA’s definition of disability. –what is your explanation about how his/her back pain began? Did it suddenly start after a motor vehicle accident or job injury? Was it the result of wear and tear from a long term physically demanding job? Your story about how your back pain began and your journey seeking relief makes up a narrative that helps the judge understand what you have gone through and your efforts to find relief. You can use this narrative to demonstrate to the judge that you hate the idea of pursuing disability and that you are fighting the label “disabled” every step of the way. –does your medical record and your testimony demonstrate that you have significant daily symptoms that interfere with your activities of daily living and thus, would preclude competitive work? Do you experience significant neurological symptoms such as muscle atrophy, foot drop, numbness and tingling, or pain radiating into your legs? Symptoms like these, especially if you have experienced them over many months or years, suggests that your impairments are both serious and permanent. –will one or more of your treating doctors support you by completing a functional capacity evaluation or writing a narrative report. FCEs and narrative reports should not offer conclusions (i.e., Mr. X is disabled) but should identify specific activity limitations that may interfere with your performance of a job. For example, if your doctor writes that you cannot operate foot controls, climb ladders, ropes or scaffolds, and that you cannot lift more than 10 lbs. occasionally, the vocational witness at your hearing would conclude that entire categories of jobs in the economy would be eliminated for you. Other simple, sit down jobs would not necessarily be eliminated. If the FCE states that you would likely miss 3 or more days per month because of pain and other symptoms and that you need to take unscheduled breaks 3 times a day to use the restroom, most vocational experts would conclude that no jobs exist in the economy. Ultimately your judge has to translate the medical findings into vocational limitations and, with the aid of the vocational witness, make a decision about whether your limitations are such that you meet SSA’s definition of disability. –did your back injury arise from a workers’ compensation case? If so, there will likely be extensive medical records but some of these records may be from a physician who gets most of his or her referrals from insurance companies. Your symptoms may be minimized by the company doctor and your integrity may be challenged. Most disability judges understand the adversarial nature of workers’ compensation cases but evidence from a work injury case may hurt your cause in a Social Security claim. –are you seeing an orthopedist, neurologist, neurosurgeon or pain management doctor on a regular basis? Yes, medical care is expensive and you may not have good insurance or any insurance. But if you appear at a disability hearing when the last record of treatment was 18 months ago, your judge may conclude that your problem must not be that severe. If you are seeking chiropractic care or other holistic or natural treatment, those records won’t help you much. Social Security judges give very little weight to so-called “alternative” medical treatment. –what medications have been prescribed for you and are you taking these medications consistently and according to the dosage schedule? Judges expect that you will cooperate with your doctor’s treatment recommendations, and if you are not compliant, there needs to be a very good reason (extreme pain, side effects, financial). Similarly, there must be no indication in your medical record that you are drug seeking, abusing pain medications, or using street drugs to alleviate pain. Abuse or overuse of pain medication sends a strong signal to the judge that you are not entirely credible with your complaints. –do you experience significant medication side effects like fatigue, mental confusion or agitation? Do you take medications for your back issues or any other medical problems that result in a need to urinate frequently (every 60 to 90 minutes). Do you experience bouts of diarrhea or constipation that would interfere with the work schedule of an entry-level job? Can you present a diary or calendar documenting these medication side effects. Don’t assume the judge will know what you are experiencing unless you can present evidence. –how do you explain your medical issues and limitations? This tells us what kind of witness you will be at your hearing. It can be difficult to win with clients who are invested in the idea of being disabled. You are much better off if you present as a fighter – someone who hates the idea of pursuing disability benefits but who has no choice. You will want to work with your attorney to eliminate statements that exaggerate your limitations or describe pain and limitations inconsistent with your medical record. –are you receptive to your attorney’s advice? Social Security is a frustrating, illogical and often unfair. But you cannot lash out at the judge, respond with sarcasm or interrupt the judge even if you resent the disability adjudication process. As you can see, there are many factors that your prospective lawyer will consider when evaluating your claim. Now you know some of the questions that your lawyer will ask you and will consider internally when deciding whether or not to accept your case for representation. Do I have to file my initial SSDI or can I use a disability attorney to do it for me? I am so scared of messing it up, not presenting the right message when it comes to my problems that I have procrastinated for nearly 2 years, I stopped working in May of 2016. I am 61 years old and desperately need to get this done.